Searching for a new home may seem a bit of a daunting and somewhat overwhelming task - There’s just so much to think about. However, while there are some necessary aspects of the homebuying process that aren’t exactly “fun”, there are simple and effective tips that can increase your chances of finding the perfect home and, yes, even have some fun while getting the job done! Here are a few suggestions to help keep the search for your dream home a positive and exciting experience. When ex-President Bill Clinton visited Myrtle Beach recently, he spoke about Hillary having a plan to help the housing crisis by requiring a moratoriam on foreclosures. Though it would have been ineffectual by the time the November elections come around, it may have sparked an idea in President Bush to implement a similar government control. Buying a home is a very exciting step in life. It is not without it’s challenges, though. Mortgage approval, finding the right agent,searching for the ideal home that meets your needs, and keeping your budget on track are some of the challenges any home buyer must face before they become a homeowner. Selling your home can be an exciting time but it is also a time-consuming and emotional process. Selling your home quickly is about creating broad buyer appeal so preparing your house for market goes well beyond just making the beds and washing the dirty dishes. The home selling market is competitive and if you want the shortest time possible on the market there are things that you can do to help speed up the process. Most homebuyers begin the search for their new home online which means that photographs play an integral role in convincing a potential buyer that they want to take the time to view your property. 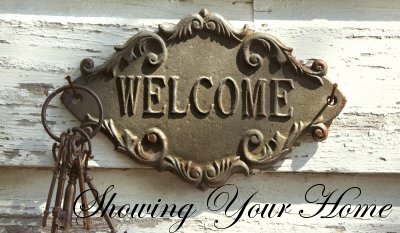 “Web appeal” has become at least as important as curb appeal in the marketing of your home. The importance of making sure your listing photographs are done well cannot be overstated. Even the most beautiful home can languish on the market if potential buyers are greeted with low-quality or poorly-staged photographs. There are a number of things you can do to ensure the best possible photographs of your home. Condotel vs Condominium: What's the Difference? 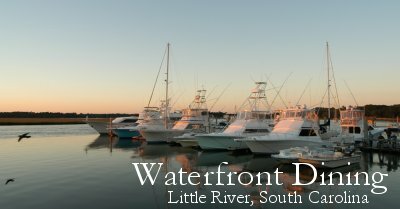 So you have decided to take advantage of all that Myrtle Beach has to offer – beautiful beaches, world-class golf, and an endless list of things to do and see - and purchase a home or second home here in the Grand Strand area. You’ve probably thought a lot about whether to purchase a condotel or a condominium, and at first glance, perhaps they don’t seem all that different to you. So exactly what is the difference between a condotel and a condominium and how can you be sure that your purchase will meet your needs? The buzzword for real estate has always been location, location, location. Ocean front condos usually garner higher rental fees than inland condos, or even ocean view condos. However, location alone won’t keep a unit rented; now that ante is upped. For the highest rental revenues, rentals need to be furnished with quality furniture and accessories. Renters, especially millennials and baby boomers, are very visual people, pouring over pictures on the Internet to help them make choices from afar. They understand that nothing is truer than “what you see is what you get”. What Do Those Myrtle Beach MLS Property Status's Mean? Every homebuyer has been told to avoid PMI. But what is PMI, and why is it so terrible? PMI stands for Private Mortgage Insurance. Lenders used to expect a buyer to prove that he (they didn’t loan to women) had the self-discipline necessary to save up a 20 percent down payment. Eventually, lenders decided this wasn’t necessary, although they were still wary of borrowers who put down less. Private Mortgage Insurance was created to ease their minds. PMI is insurance that pays out to the lender in case of default. It’s a bit like purchasing a co-signer. Unfortunately, PMI is expensive. 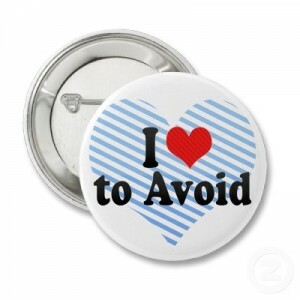 Luckily, it can be avoided. Myrtle Beach, South Carolina, with miles of wide sandy beaches, more than 90 championship golf courses, many 5 star restaurants, several live theatres, and enough shopping to make you drop, has been a favorite vacation destination for more than 50 years. While there is no question that Myrtle Beach, and all the Grand Strand, is a wonderful place to vacation… it’s an even better place to call home! Our cost of living is low; our lifestyle relaxed and friendly. If it’s time to purchase a Myrtle Beach condo of your own, here are a few things to keep in mind to ensure that your property will suit your lifestyle and let you enjoy all the activities you love. You've found your dream home and your offer has been accepted! Don’t plan the house warming party quite yet though, you will want to be sure you have the home inspected by a professional to ensure there are no major problems. Suppose you bought a house and later discovered, to your dismay, that the stucco exterior concealed a nasty case of dry rot? 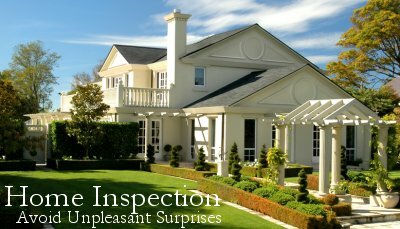 The best way to avoid an unpleasant surprise like that is to arrange for a home inspection before you buy. Because of government rules and regulations, no REALTOR or real estate agent will be allowed to forecast or give you any idea about cash flow or ROI when it comes to investment real estate or rental condos. This can leave you frustrated and wanting more information. We can, however, tell you the formula to use so you can get a general idea of your investment possibilities. What is your taxable income or loss from the investment property? Buyers want spacious homes. That’s why as a home seller, it’s important to make sure you show off every square foot of your home so that potential home buyers can visualize enough room for all of their belongings. So if you are selling a home that is “spaciously challenged” there are things you can do to accent positives and make every space look bigger so that you can sell your home faster. De-clutter any smaller areas in order for them to appear bigger. If your home is on the market, put aside items you can place into boxes and store until you move and keep only the items you will need while the home is in the process of selling. While it is true that mortgage interest rates are very low, there are many advantages to purchasing investment properties in Myrtle Beach for cash. Recent statistics released by RealtyTrac, Inc. for first quarter real estate sales show that 49% of all property sales in the first quarter of 2011 nationwide were cash sales, confirming the growing trend. Myrtle Beach condominium prices are the lowest they have ever been, making it much easier to purchase an investment condo for cash. The most glorious time of the year is now here, and waking up in the morning to the bright sunshine on the beach couldn’t be nicer. The humidity is still low to none, the days are in the high 70′s, and the golf courses remind every golfer why they love the game. This is why Myrtle Beach golf is the best in the nation. In a few short weeks the hotel prices will start increasing in price for the summer season. Traffic will pick up with families and spring breakers. Restaurants will begin to form lines, and the beach will hunker down for another four months of hard work and heat. We’ve all heard of curb appeal. A couple flowers here and there can really make a difference on your bottom line. But, what about the inside of your house? Could you take a couple of hours and transform a room to make it more attractive to potential buyers? What if you had to use mainly what was already in the room and had only a small budget of $250.00? In February Realtor Magazine did just that. Two professional stagers, along with a camera crew and some helping hands went to a Chicago area home and staged three rooms: a home office, a bedroom and a living room. Tax laws changed several years ago to allow a seller to keep up to $250K in capital gains if he sold his primary residence. A couple was allowed $500K. But selling a rental property doesn’t afford those exclusions, and if you are lucky enough to MAKE any profit in selling investment or vacation real estate in this day and time, you may end up losing more than equity. The “Infernal Revenue” people have a code section 1031 that can help real estate investors to at least prolong the agony of paying capital gains taxes when selling property other than your own home. According to a new article on Realtor.org, more vacation property owners are turning their homes and condos over to rental management companies than ever before. One management company said that owners could earn more money renting out a vacation home than in the stock market. Myrtle Beach vacation rentals certainly hold true to that. In the case of condos that have been purchased recently with the discounted prices, owners not only end up getting enough in rentals to pay their expenses, but are actually making tidy sums from several thousand to $10,000. We will know for sure by the end of 2009. That is one reason why it is such a great time to buy Myrtle Beach real estate. The HOA, sometimes called POA or Condo Board, can make life wonderful and carefree, or utterly miserable. Everything depends on the rules, the organization, and unfortunately the personalities of the board members.